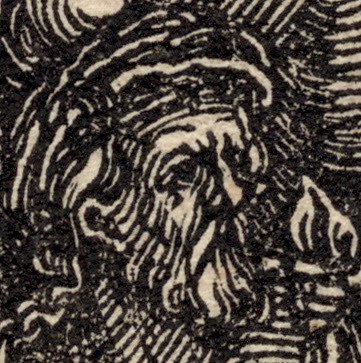 Woodcut on fine laid paper with the artist’s monogram “HSP” at the upper-right corner. State ii (of ii) Note: the first state shows the date “1521” with the monogram at the upper right corner, whereas in the second state the date is erased (the reason is unknown). Condition: crisp impression from the second state showing very little wear. The sheet is in excellent condition (near pristine) and attached to a support sheet at the top edge. 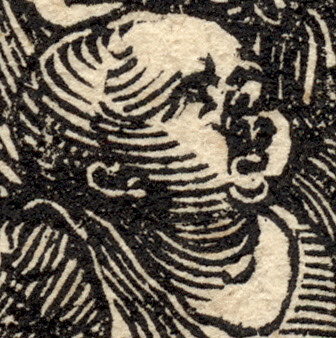 There is a small margin at the top of the sheet with larger margins on the other sides. 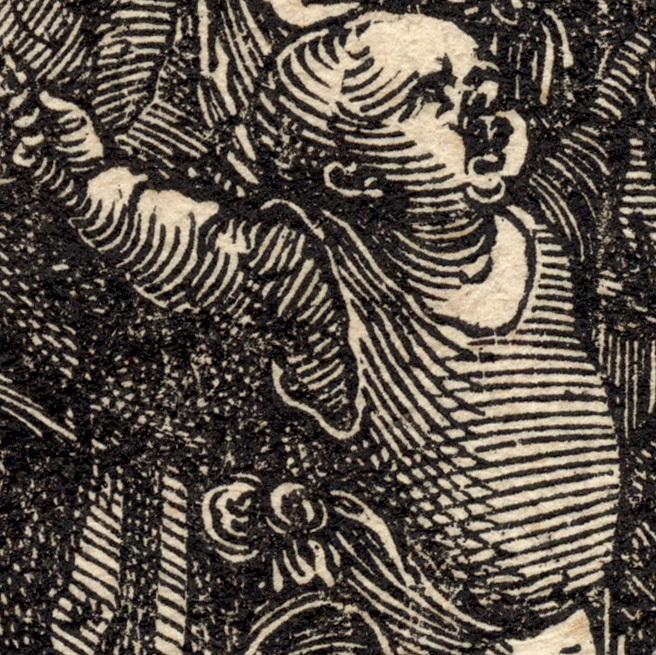 I am selling this original early woodcut by one of the leading members of the 16th century “Kleinmeister” (Little Masters) in Germany for AU$510 (currently US$391.07/EUR363/GBP313.24 at the time of posting this listing) including postage and handling to anywhere in the world. If you are interested in purchasing this historically significant print by one of the major Renaissance era printmakers, please contact me (oz_jim@printsandprinciples.com) and I will send you a PayPal invoice to make the payment easy. 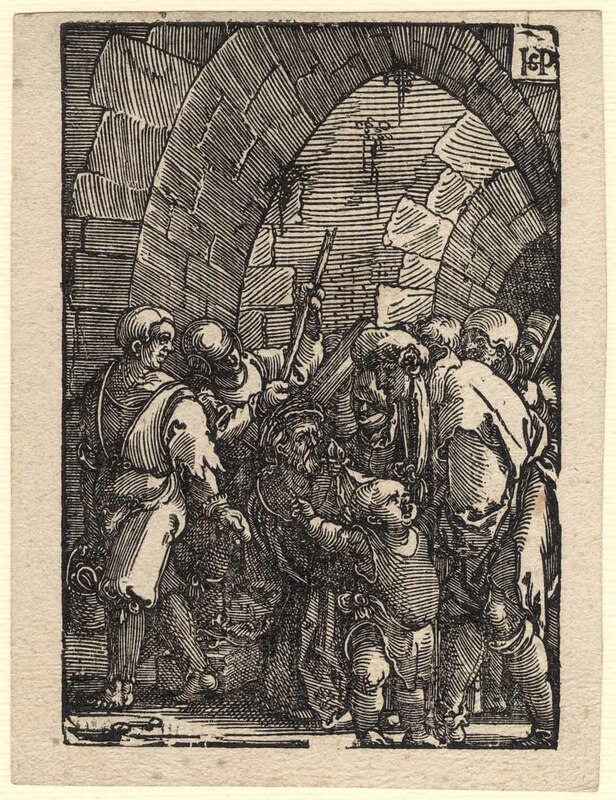 This is a very early print by Beham executed while he was still under the spell of Dürer’s influence. 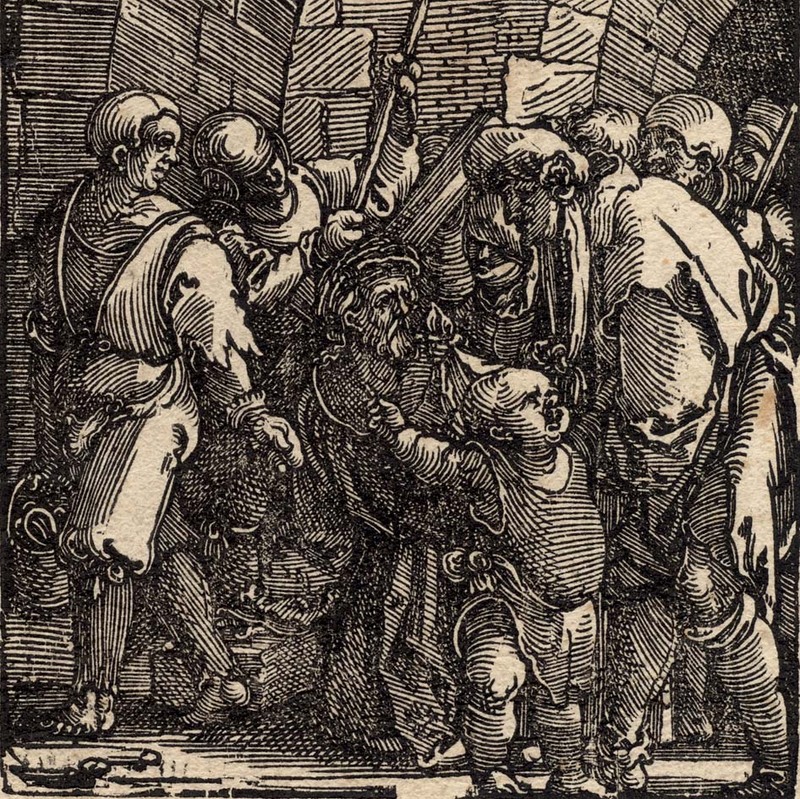 In some ways the portrayed scene is the perfect subject for a young journeyman printmaker, in terms of portraying a subject that is very familiar and socially acceptable to the public—one of the stages of the cross in Christ’s passion. Nevertheless, to my eyes the scene represents more than Christ's agony: I see the gesturing and emotionally charged rebellious boy in the foreground as if his actions were a psychological self-portrait of the the artist himself. From a technical standpoint, I can see some of Dürer’s influence in this print, especially with regard to the spatial organisation of the composition. 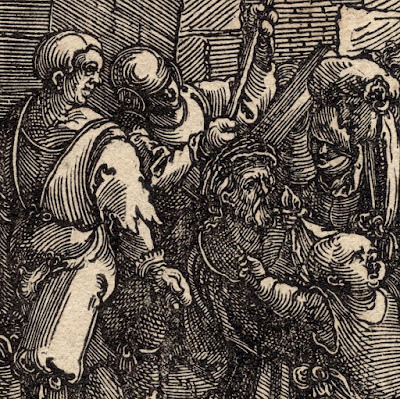 Nevertheless, by comparison to Dürer’s mature prints, this image is clearly the work of a developing artist. 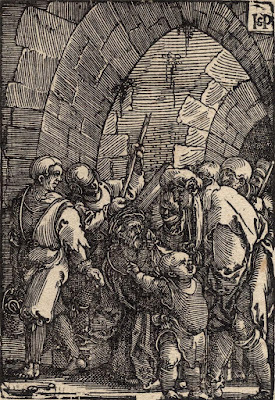 For instance, in Dürer’s mature prints each line serves a purpose, whereas here the line work (such as the hatched lines rendering the stone arches) leans more towards schematic and perfunctory. Beyond such criticism, however, the portrayed scene expresses a master's vision of space and volume. 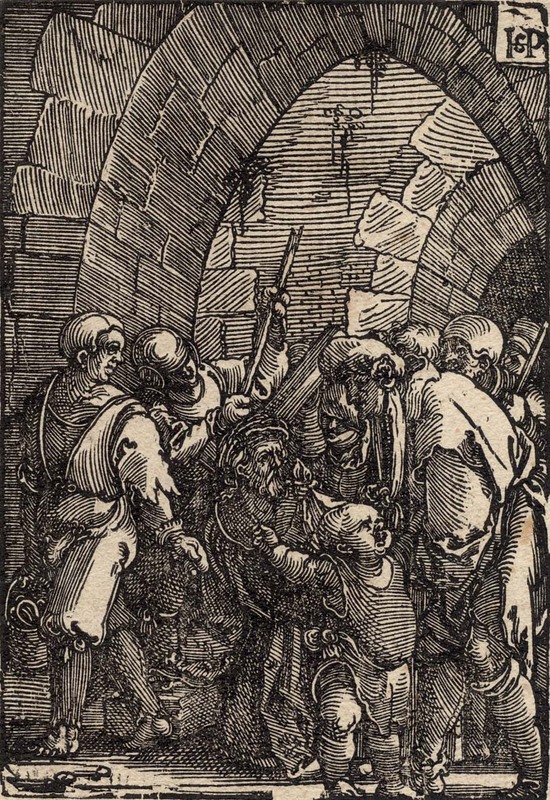 Note, for example, Beham’s choice to present the scene from a low vantage point—or to use a phrase that I love, “a worm’s eye view”—and to employ arches above the figures. Such visual devices project an aura of grandeur to the scene and hint at the developing genius of Beham's mature prints. 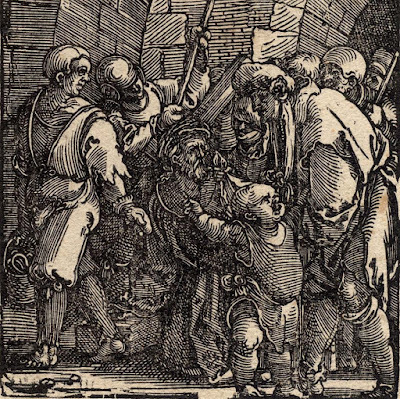 Ultimately, Beham's insight into ways to subliminally express notions of expansive space, even when the image itself is small in physical size, earns him, along with his brother, Barthel, and his colleagues, Georg Pencz, Heinrich Aldegrever and Albrecht Altdorfer the famous title, “Kleinmeister”, for the ability to capture grand visions in miniature artworks.